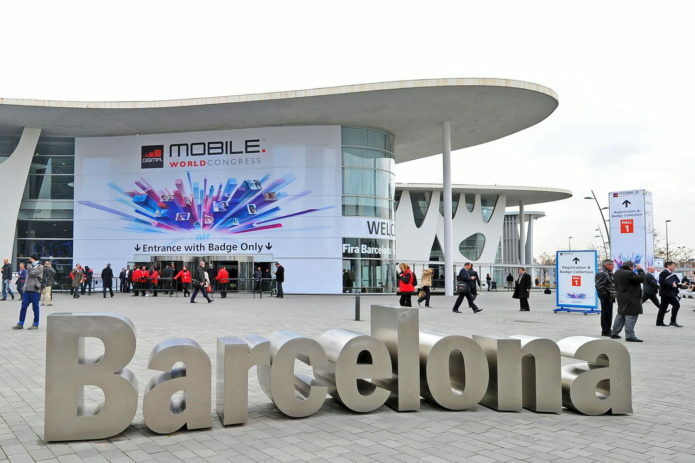 Mobile World Congress 2018 should reveal new hardware products from a variety of big names in mobile smart devices. This event is a trade show fun by GSMA, and it’s the place where some of the most important smart devices of the year are launched. Did I mention devices? Today I’m going to run down the basics in what we expect from MWC at the tail end of this month. A pair of BlackBerry phones are set to be launched this year – but we’re not certain if they’ll bring one or both to MWC. In the past, BlackBerry’s revealed phones outside of MWC, while services are included within. HTC may reveal a phone or two – more likely one – likely in the midrange. Perhaps the HTC U11 Eyes previously only out in China? LG may well reveal the LG G7 – or whatever they end up calling it. They’ve release major collections of smartphones at MWC in the past, and there’s no reason to doubt they would this year, too. Sony will likely bring a few smartphones to the party, likely in the Sony Xperia XZ2 – or something somewhere around there – and don’t forget the Compact lineup. Nokia one of very few smartphone brands that also bring their big-name phones to bear at MWC. Nokia’s been doing exceedingly well over the past year, and this year at MWC we’ll expect several phones with “Nokia” and a number in their names: Nokia 6, Nokia 1, Nokia 7, Nokia 7 Plus, and others. Samsung’s event is generally the most massive, and this year will be no different. This year Samsung almost certainly has the Samsung Galaxy S9 and Samsung Galaxy S9 Plus to show off to the masses. Those two phones alone have generated more hype in the several months before now than any other brand. There’ll be a few Android Oreo (GO Edition) phones that’ll be revealed over the next few days, too. They might be running with brands we’ve never heard of – and with big-name contenders, too. ARCHOS Core S phones will probably be the least expensive Android phones with 18:9 aspect ratio displays. Huawei may bring some tablet and/or notebook action to MWC. Don’t expect any massive smartphone reveals from Huawei, here. Maybe Motorola or Lenovo have a new tablet to bring to the table? More than likely they’ll remain satisfied with the silent launch of the Moto tablet they have at AT&T right this minute. Samsung probably has a new Samsung Galaxy Tab S4 to bring to MWC, but we’re far less certain here than with the Galaxy S9. Geekbench revealed some benchmarks – but that’s about it. Google Assistant will be expanded upon a bit, more than likely, and we’ll expect Google to focus on Google Assistant, too. ARCHOS already revealed a Hello Google Assistant Smart Display – and that wont be the end of the hardware based on that ecosystem, not by a long shot. ARCHOS also has a new scooter they’ve brought to MWC. It’s called the ARCHOS Citee Connect, and it’s got Android inside. There’s a rumor that both LG and Huawei shelved their plans once it was confirmed that Samsung would bring their Galaxy S9 and S9 Plus – that’s pretty major. In addition to what you see below, we’ll be reporting on more devices than you can handle over the next few days. There’ll be so many devices, your eyes will melt out of your head and your wallets will start on fire. It’s going to be madness. You’ll be able to follow along with announcements, deep details, and hands-on photos and video here at SlashGear as these events unfold. We’ll be bringing you details about every major product revealed this week from all the brands you know and/or love. It’s time again to get mobile.